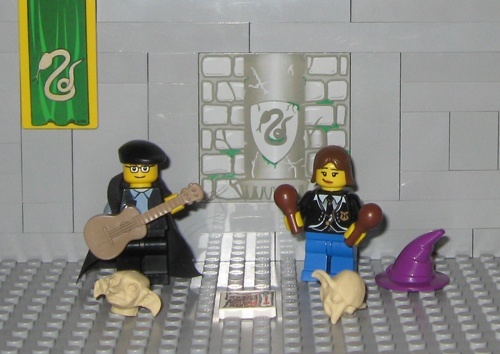 I made a MOC vignette of the second Harry Potter Wizard Rock concert I ever attended at Patrick Henry Library in Northern Virginia. The MOC features the Remus Lupins and Draco and the Malfoys. It’s not completely done (Alex still needs a guitar and I might change the flag or add a few more fangirls). Maybe I’ll change out some hands as well. But I’m happy with it as-is.